Having introduced you to the Masked Woodswallows that have been prevalent around Broome in recent months in last week’s post I thought it only appropriate that I attempt to photograph some Black-faced Woodswallows for you! 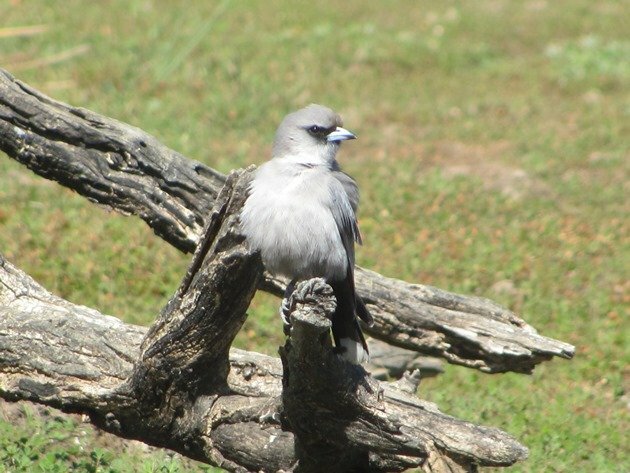 White-breasted Woodswallows are common around the Kimberley area of Western Australia as are the Little Woodswallows. White-breasted Woodswallows are often cuddled together on power lines or in trees, but the Little Woodswallows prefer cliff faces for feeding and a good location for them is Geikie Gorge, though they are found around the Broome area if you know where to look. 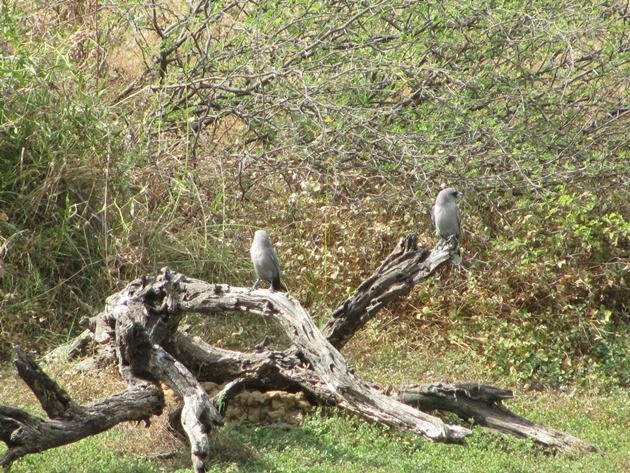 We were lucky recently that we found a pair of Black-faced Woodswallows actively feeding on insects near a small pool of water and took the opportunity to sit and watch them and photograph the activity. 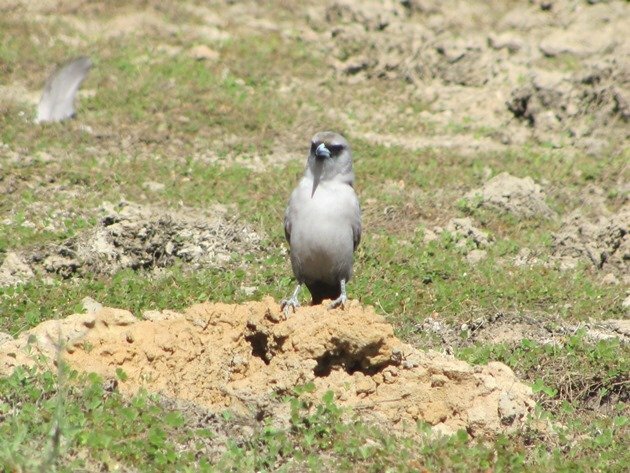 Black-faced Woodswallows like to be in open country and are found across much of Australia. You can see the colouring around the face is a lot smaller than that of both the Masked Woodswallow and the White-breasted Woodswallow and they are mostly grey. 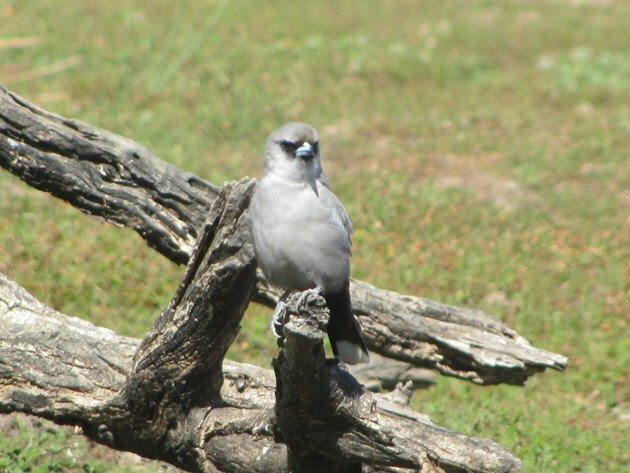 They really do have a ‘black face’, but the Masked Woodswallow also has a ‘mask’ and the White-breasted Woodswallow also has a ‘white breast’, such is the naming of Australian birds! 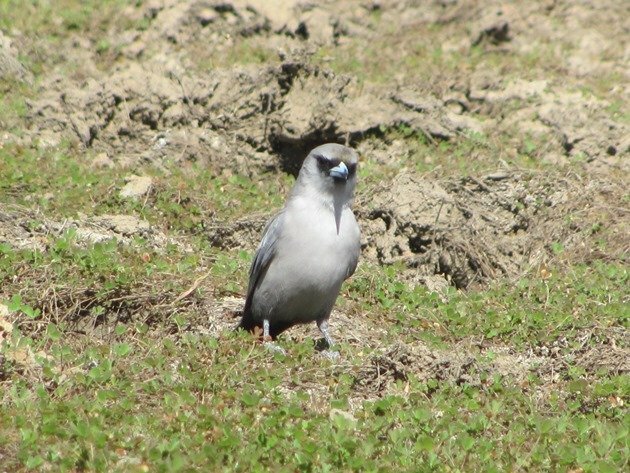 We were lucky enough to have one of the Black-faced Woodswallows ignore us completely and fly backwards and forwards in our direction collecting insects and so I was busy taking photographs. 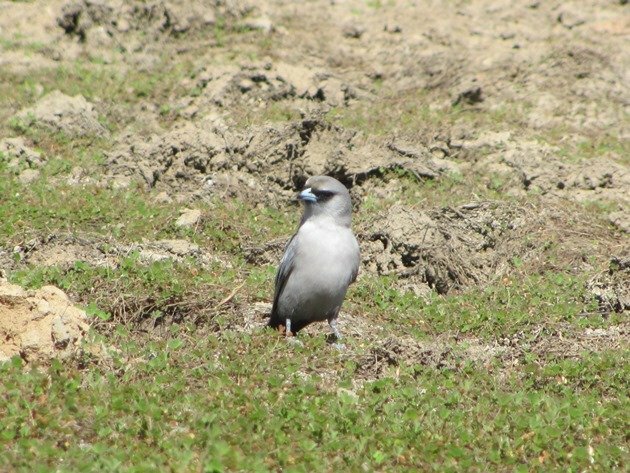 Due to the fact that many of the Woodswallow species feed in mixed flocks it is always worth stopping to check for other species among them. 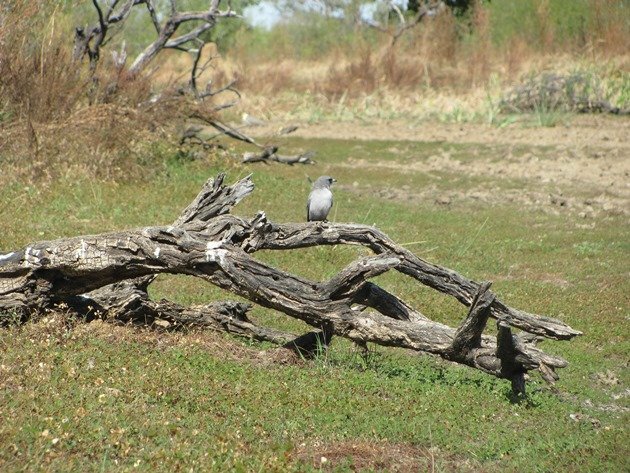 You may even get lucky and spot a White-browed Woodswallow among them like we did at the Fortescue River!